Where can you find a fire truck, a monster, and a great big pile of cupcakes? Come play with this exuberant kid as creativity and imagination transform a blank wall into a colorful adventure. 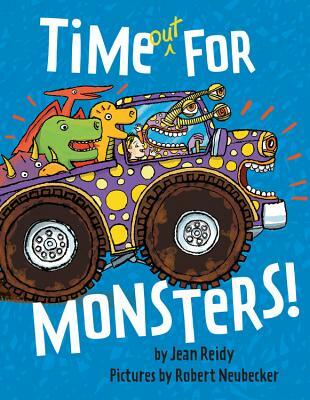 Author Jean Reidy and illustrator Robert Neubecker invite anyone with an outsized imagination to join in this rambunctious romp about making your own world. Jean Reidy (www.jeanreidy.com) is a freelance writer whose articles and essays have appeared in more than fifty publications, including Family Fun and The Christian Science Monitor. Her first two picture books, Too Pickley! and Too Purpley! were both published by Bloomsbury USA and illustrated by Genevieve Leloup. Light Up the Night, illustrated by Caldecott-Honoree Margaret Chodos-Irvine, hits shelves in October 2011. Jean lives in Denver with her husband and four children. Robert Neubecker (www.neubeckerbooks.com) is a regular contributor to Slate.com, Time, The Wall Street Journal and the Los Angeles Times. His books include Courage of the Blue Boy, Beasty Bath, Wow! School, Wow! America!, and Wow! City!, an American Library Association Notable book for 2005, and the newest addition, Wow! Ocean! A longtime New Yorker, Robert now lives with his growing family and the occasional moose on Iron Mountain in Park City, Utah.